I am trying to decide if I should get Micro USB to USB Adapters or USB C Cables. 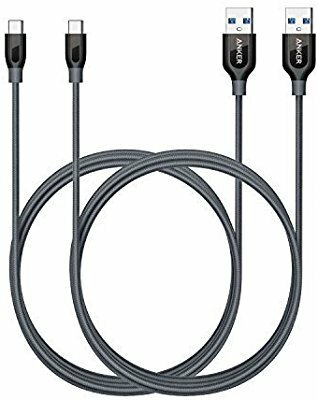 I had just bought a pack of Micro USB cables from Anker before switching from the Samsung Galaxy S7 to the Samsung Galaxy S8+. The S8+ plus came with an adapter which I was using on my old Micro USB cable but the cable is now worn out and the adapter broke somehow so I have to decide if I should get more adapters or get new USB C cables. I have multiple Fast charger wall plugs. Personally these are the cables that I would get. 6-foot cables will give you some freedom while charging your phone. But @elmo41683 is correct type-c to type-c you give you the best fastest charge but you might have to upgrade your chargers if yours don't have type c.
Smaller powerbanks do not have USB-C PD yet. So usb a to c cable is good for utilizing those ones. Adapters are useful when you have 2 port charger and 4 devices to charge and few of them are usb c. More convenient on the go for me. Never had micro usb to c adapter fail till now maybe I am lucky. I tried using the adapters n adapters with a usb-c wall charger, but was too slow... I personally find, when you use adapters you decrease the signal. Whether I was a sound tech on a huge mix board, or working for a TV station tech, using a make do with an adapter, slowed the signal n decreased the quality or clarity, either sound/audio or picture quality were affected. Seeing how affordable cables are these days, I'd vote to splurge on the c cables. Better performance, less fuss, nothing to pop off and lose. Depends on if you want to upgrade other tech, if so usb-c is the way to go as its kinda the new standard.